During 1983-2005 Sudan hosted one of Africa’s longest insurgencies. Throughout the conflict a number of competing peace initiatives coincided, but a process under the mediation authority of the Inter-Governmental Authority for Development (IGAD) prevailed. However, although initiated in 1993, the IGAD process only accelerated after the September 2001 attacks on the United States (US) and was consequently finalised through the signing of the Comprehensive Peace Agreement (CPA) in less than four years’ time. Although it was presented as IGAD’s success as a conflict resolution body, in reality the organisation’s role in the making of peace in Sudan was to a large extent conditioned by the involvement of a narrow selection of Western stakeholders. This article examines the IGAD peace process in Sudan, highlighting the dynamics and relative roles of the principal actors involved. It argues that although the negotiations were portrayed as inherently sub-regional, and adhering to the idea of ‘African solutions for African problems’, a closer analysis reveals that the peace process was dominated by external protagonists. This resulted in the interests of Western actors, particularly the US, playing a prominent role in the negotiated agreement, consequences of which are currently experienced both in Sudan and South Sudan. Since the Cold War, the notion of regional integration has grown considerably in importance in relations between proximate states. Regionalism has come to be perceived as particularly attractive for Sub-Saharan Africa, where various leaderships have interpreted it as necessary for advancing peace and development, as well as for strengthening Africa’s role in the current international order. Although regionalism opens ways for cooperation beyond the narrow state-specific view of international relations, possibly its most important challenge in Africa is internally and externally contested borders. Secessionism, irredentism and territorial claims between states remain commonplace and are often found at the heart of armed conflicts. In those parts of Africa where a large part of armed conflicts continue to occur, security often tends to be prioritised over other sectors, and, as Cilliers and Schünemann (2013) point out, it is erroneous to believe that the decline of large-scale violent conflicts in Africa is a sign of movement towards political stability. A stable security environment, in turn, arguably frees government resources from maintaining internal and external security, allowing them be used for other purposes such as the promotion of amicable regional relations. The intimate relationship between violent conflict and development (Duffield 2001, 2007; Stewart 2004) may be affected by the advancing regional cooperation. For instance, intra-regional cooperation and development can lessen the individual states’ dependence on powerful patron states and decrease the need to make foreign policy compromises with them. As a result, it is plausible to argue that a salient feature of the most successful attempts of advancing regionalism in Africa, such as in the case of the African Union, has been the combination of promoting security with economic cooperation for increasing stability and development. This article presents a case study of the promotion of security regionalism in the Horn of Africa. Based on the author’s ongoing research initiated in 2004, it examines the Inter-Governmental Authority on Development (IGAD) peace process in Sudan and exposes its major dynamics. Specifically, the article unveils the actors that dominated the peace initiative to show that although portrayed as an example of ‘African solutions to African problems’, the IGAD process was largely externally controlled. This largely externally imposed peace has had repercussions, which are currently experienced in South Sudan and Sudan. The article is organised in the following manner. Section 2 embarks on a brief theoretical review of the links between globalisation, regionalism and security. Section 3 follows with an analysis of the agendas of local actors and IGAD’s role in the making of peace in Sudan, and section 4 engages in a discussion on the external actors’ involvement in the process. The fifth section discusses the aftermath of the Comprehensive Peace Agreement (CPA) produced by the IGAD process and the sixth section provides a concluding discussion. Globalisation of the post-Cold War international order is a necessary starting point for examining security aspects of contemporary regionalism. Although the relationship between global norms and state interests (Clark 1997:201-202), as well as globalisation and regionalism (Grant and Söderbaum 2003:1-20), has been much debated, there is little consensus over whether there is movement towards a more global society or towards regional political, security and economic blocs which regional powers tend to dominate. For instance, Väyrynen (2003:44-45) has argued that regionalisation has emerged as one consequence of globalism after the Cold War in an attempt to moderate the impact of global external interference on regional dynamics and individual states. Regionalism is seen to emerge from the post-Cold War international order in which regional powers have emerged to gain power over their respective geographical neighbourhoods (Rosecrance 1992). As a result, regionalism can be considered as a strategy to rebuff direct involvement of powerful states in less powerful regions and to an extent as an expression of the aspirations of regional powers. New regionalism (Grant and Söderbaum 2003), arising after the Cold War, has pointed out the relationship between regionalisms, armed conflicts and peace-making. In terms of security, concepts such as ‘regional conflict formations’ (Väyrynen 1984), ‘regional conflict complexes’ (Wallensteen and Sollenberg 1998) and ‘regional security complexes’ (Buzan and Wí¦ver 2003:40-89) have become consolidated. This has had deep implications in terms of action and impact because it has inspired regional strategies and approaches to local, regional and international security. The concept of ‘security regionalism’ emerges from the assertion that the complex ‘regionalised’ and ‘internationalised’ nature of wars in Africa requires a regional approach. Whereas conventional understandings of security can be seen to fall short of addressing conflicts and terrorism, a regional approach to security may offer an attractive possibility. Thus, ‘security regionalism’ has advocated the importance of a regional, rather than a national or global, starting point for analysing armed conflicts (Buzan and Wí¦ver 2003:43-44), and emphasised the critical importance of non-state actors particularly in Africa (Shaw et. al. 2003:4-5). The IGAD peace process in Sudan analysed below illustrates some of the shortcomings of security regionalism in the Horn of Africa. The case of the CPA shows how sub-regional institutions and mechanisms have been subjected to the influence and strategies of external, internationally powerful, state actors. The CPA in itself was contradictory, with largely incompatible aims of immediately ending the armed conflict and causing democratisation. In seeking to end large-scale violence, the CPA effected power sharing which allowed continuity of the coercive power of the two protagonists, which in turn hindered democratisation (Aalen 2013:174) and maintained grievances behind the armed violence. In fact, the CPA’s top-level power sharing perpetuated the exclusive concentration of political and economic power among sections of ruling elites both in Sudan and South Sudan, who continued to provoke instability and armed conflict (Ylönen 2013:20-21). The Inter-Governmental Authority on Drought and Development (IGADD) was first established in 1986 as a sub-regional organisation in the Horn of Africa. 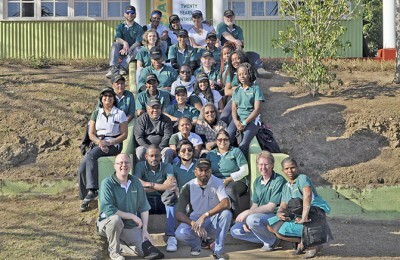 Its initial main objective was to manage issues related to drought and desertification. At first, IGADD members included Djibouti, Ethiopia, Kenya, Somalia, Sudan and Uganda, which were joined by Eritrea after its independence.7 In the early 1990s, largely motivated by the ongoing regionally destabilising war in Sudan, the IGADD members decided to expand the organisation’s mandate to conflict prevention and subsequently (in 1996) changed its name to Inter-Governmental Authority on Development (IGAD). By the early 1990s, the protracted civil war in southern Sudan had raged for almost a decade. Although a series of failed peace initiatives had resulted in a degree of pessimism towards finding a resolution to the armed conflict in Sudan, an attempt to end the war emerged. This initiative was inspired by Sudan’s IGADD neighbours’ suffering from the destabilising regional effects of the conflict. For instance, Uganda continued to experience the destabilising effects of the Lord’s Resistance Army (LRA) insurgency in its northern regions, and this was portrayed as a threat to Yoweri Museveni’s regime in Kampala. The LRA having converted into a proxy force supported by Khartoum, which had strengthened it considerably, pushed Museveni to boost his aid to the Sudan People’s Liberation Movement/Army (SPLM/A), the main rebel organisation in southern Sudan led by his close ‘revolutionary’ comrade John Garang. Similarly, the war in Sudan had destabilised Ethiopia’s Gambella region, which had served as the sanctuary for the SPLM/A and southern refugees since the beginning of the conflict. However, after the collapse of the Mengistu regime in May 1991 the new government in Ethiopia, of which constituent Tigray People’s Liberation Front (TPLF) had been backed by Khartoum, decided to expel the Sudanese rebels. Following this, the ruling TPLF in Ethiopia focused on internal politics in an attempt to keep the state together and extend its power over Ethiopia’s other regions. Similarly, Eritrea was entangled in the internal politics of Ethiopia in its attempt to secure independence. Yet, both, having been indirectly involved in the war in Sudan previously, were inclined to seek external alliances in the protracted conflict between them by supporting the peace initiative (Adar 2000:47). Moreover, Ethiopia, Kenya, Uganda, and to an extent Eritrea, had common interest in curbing the growing Islamism emanating from Khartoum. The National Islamic Front’s Islamist project had potential for regional expansion, particularly in the neighbouring states with considerable Muslim minorities. These states feared that Khartoum’s attempts to assume a leading role as the centre of Islamic revival and presumably harbouring violent extremists could lead to violence, mobilisation and political instability in their respective territories. In September 1993 the then IGADD took up the initiative. It founded a Peace Committee under the chairmanship of Kenyan President Arap Moi, which was joined by the heads of state of Ethiopia, Eritrea and Uganda (Hoile 2002:48). A Standing Committee of Foreign Ministers of the member states was put in charge of the mediation and was endorsed by the Friends of IGADD (later IGAD Partners Forum, IPF), which included a number of European states along with Japan and the United States (US) (Inter-Governmental Authority on Development 2010). Thus, the regional dynamics of the civil war in Sudan were largely responsible for IGADD adopting a conflict resolution stature and activating a mediation agenda. In March 1994 the peace negotiations to resolve the Sudanese civil war commenced in Nairobi. IGADD presented a Declaration of Principles (DoP) that recognised the South’s right to self-determination if Khartoum failed to democratise and promote secularism, along with social and political equality (Declaration of Principles 1994:2). The two SPLM/A factions, the SPLM/A-Mainstream and SPLM/A-United, which had split earlier when the SPLM/A had lost Ethiopian support after the fall of the regime of Mengistu Haile Mariam in 1991, were in favour of the proposal and signed it largely because their respective leaderships agreed that in spite of their differences they were both mainly fighting the oppressive ‘Arab-Muslim’ Government of Sudan (GoS).8 This overcoming of earlier divergent positions between the two factions surprised the GoS, and it decided to withdraw from the negotiations largely because of the fear of having to commit to unforeseen compromises. In addition, at this point the GoS’ favourable military position provided it with leverage over the southern rebels. As a sign of its strength, some leaders of its dominant force, the National Islamic Front (NIF) (later the National Congress Party, NCP), were still hoping to convert Khartoum into a centre of international Islamism through the Popular Arab and Islamic Conference;9 a plan that would have been undermined by concessions to the principally non-Muslim southern rebels. The NCP’s project was aimed at completing its ‘revolution for national salvation’ by imposition of Arab culture and Islam on all Sudan.10 It included support of extremist elements, including hosting Osama bin Laden (1991-6) and allegedly supporting Hamas, Hezbollah and Egyptian Islamic Jihad (EIJ). On 26 February 1993, a bomb was detonated at the World Trade Centre in New York, and in the ensuing investigation Washington decided that Khartoum had been involved, which resulted in Sudan’s inclusion in the US list of State Sponsors of Terrorism in August 1993 (Woodward 2006:53; Bhattacharji 2008). By the mid-1990s, the economic and security climate in the Horn of Africa had converted the US into the most powerful external actor towards Sudan. Following the 1989 coup which brought the Islamist NIF into power in Khartoum, the curbing of growing Islamism and its regional ramifications became the main US foreign policy concern towards Sudan (Woodward 2006:43-45). In this context, the US-SPLM/A partnership could be viewed as a remedy to weaken the NCP and Islamism by forging a kind of peace in the country that would either grant the SPLM/A close to an equal standing in national politics with the NCP or allow southern Sudan to become independent which would deprive Sudan of resources and weaken it considerably. Thus, the US approach to Sudan was principally security oriented, with an attempt to deter Islamism and promote regional stability. Meanwhile, other relevant external players were active in Sudan. In the early 1990s the most important of these had been a selection of Asian states (i.e. Indonesia, Malaysia and China), all with major commercial interests in Sudan. Amongst these actors, China emerged as the most significant. Although it had sold weapons to Sudan previously, by the mid-1990s Chinese arms sales accelerated in the midst of the continuing civil war (Human Rights Watch 2003:456-457). In December 1996, Western civil society pressure had forced the Canadian oil company, Arakis to sell its share of the greater Nile Petroleum Company and the Chinese National Petroleum Corporation (CNPC), which had already been a considerable player in oil business in Sudan (Human Rights Watch 2003:458). The CNPC then went on to participate in the construction of a 1 500 kilometre pipeline to facilitate oil exports, and China became the main beneficiary when Sudan began exporting oil in 1999. By the turn of the millennium, China had become a major player in Sudan and the most important commercial ally of Khartoum. Any weakening or possible deposing of the Sudanese government would endanger arms sales, and oil and infrastructure contracts, and was therefore against Chinese interests, which explains China’s reluctance to actively seek a negotiated end to the armed conflict. Consequently, China preferred to maintain a neutral position in international institutions, although providing Khartoum some limited support. The effect of China’s strict non-intervention policy was that it left the US as the main external player, with a security-focused approach, in search for a negotiated settlement to the conflict in southern Sudan. The attempts to deal with growing Islamism, Sudan’s alleged connection to terrorism, and their possible regional ramifications were among the main factors that prompted the US to lobby for Sudan’s international isolation. In 1993 Washington added Sudan to its list of State Sponsors of Terrorism and in 1996 the US passed the Antiterrorism and Effective Death Penalty Act. In the same year, it made a decision to apply indirect military pressure on Khartoum and in 1997 it imposed economic, trade and financial sanctions upon Sudan. After deciding to support Sudanese armed opposition indirectly, Washington provided over USD 20 million in non-lethal military aid to Ethiopia, Eritrea and Uganda to aid the SAF overthrow of the GoS (Hassan 2009). However, although the outbreak of the Eritrean-Ethiopian War in May 1998 (Connell 2005) ended the armed opposition advance, the concerted attempt to depose the Sudanese government shows the extent to which the US allies’ regional relations reflected the American foreign policy in the Horn of Africa. In these circumstances, in which it appeared that the IGAD initiative had reached a deadlock, Egypt and Libya devised a competing peace initiative. It was immediately endorsed by the GoS but rejected by the SPLM/A and the Western stakeholders. The initiative, largely motivated by Egypt’s preoccupation about control of Nile waters after a possible secession of southern Sudan, and Libya’s interest in extending its influence in Sub-Saharan Africa,18 along with the desire to include northern Sudanese opposition in the talks that centred on NCP and SPLM/A, was aimed at countering the largely Western-supported IGAD process with an inherently ‘Arab’-led initiative. At this juncture, also troubled by the exclusive nature of the IGAD initiative, Eritrea and Nigeria pushed their alternative fora for negotiations, which sought to include parties of the NDA in the peace process (Young 2007:11). However, strongly in favour of the IGAD efforts that they were able to manipulate as the main financiers and diplomatic actors, the interested Western states endorsed neither one of these initiatives. After the millennium, the US administration began experiencing unprecedented domestic pressure to achieve peace in Sudan. Interest groups, including the Black Caucus, the Christian Right, human rights activists and NGOs (Sidahmed 2012; Young 2007:41), as well as approximately a dozen motivated congressmen, pushed the US administration to act.19 In early September 2001, the Bush Administration appointed a Special Envoy, John Danforth, with a mandate to inquire about the interest of the Sudanese protagonists, the GoS and the SPLM/A, in peace (The White House 2001). Five days afterwards the 11 September attacks occurred, and bin Laden’s and al-Qaeda’s alleged masterminding of them put Khartoum again in the spotlight in US foreign policy. The US being the most influential external actor in Sudan, this drastically increased the momentum for peace in Sudan. The War on Terror made the prior US Horn of Africa policy more explicit. The US became open about its agenda of curbing Islamist influences, and pushed IGAD member states to take measures to the same end. In this context, the slogan ‘African solutions to African problems’, describing the need to strengthen African regional security institutions, gained strength in US Africa policy (Fomunyoh 2005). In December 2001, the US published its first ‘terrorism exclusion list’ under the Patriot Act in which it listed 39 ‘terrorist’ organisations, a number of them active in the Horn of Africa, while pressuring the GoS to cooperate on intelligence material on Islamist groups, pushing Kenya to step up IGAD mediation and pressing Egypt to drop its competing initiative with Libya (Young 2007:13, 14; Abdelaty 2001). In this context, Khartoum faced unprecedented pressure to cooperate with the US and engage actively in the IGAD process. The external pressure coincided with, and was not isolated from, the rift in the GoS leadership between President Omar al-Bashir and the Muslim Brotherhood’s politico-Islamist ideologue Hassan al-Turabi that led to the side-lining of al-Turabi. Finally, faced with overwhelming pressure, Khartoum agreed to co-operate with Washington on terrorism intelligence and succumbed to promoting the IGAD process as long as it was confined to narrowly focused negotiations along GoS-SPLM/A, north-south, lines. This presented the GoS the least undesirable option, as it provided escape from having to submit to wider political power and wealth sharing, while establishing a working relationship with Washington on terrorism. (Young 2007:13). Khartoum’s decision to collaborate broke the deadlock. This led to the re-launching of negotiations in May 2002 in which the US, the United Kingdom and Norway (Troika) played a particularly active role (Johnson 2011). On 20 July 2002, the process brought a breakthrough mediated by the IGAD chief mediator Lazarus Sumbeiywo’s team, which culminated in the signing of the Machakos Protocol by the leader of the GoS negotiating team, Ghazi Salahdien, and his SPLM/A counterpart, Salva Kiir. The protocol contained a call for a negotiated end to the conflict ‘within the Unity of Sudan’ (Machakos Protocol 2002:preamble), more equal distribution of power and wealth at national level and freedom of religion, while the parties also committed to a self-determination referendum after a six-year interim period in which southern Sudanese would vote either for continued unity of Sudan or for the southern region’s secession from it (Machakos Protocol 2002:par. 2.5). On 15 October 2002, parties signed the agreement on cessation of hostilities, which was reinforced by another agreement in February 2003 that established a Verification Monitoring Team supervising the ceasefire. The GoS eagerness to sign an agreement ending hostilities was in part due to the deteriorating situation in Darfur, and its unwillingness to include that region in the peace treaty. On the other hand, the SPLM/A was pressured by its Western supporters on which it relied heavily for diplomatic and technical support, while also a large part of its constituency in southern Sudan was growing tired of the war. However, the external actors sought higher level face-to-face engagement from both parties to further consolidate the process. Consequently, the Troika pushed for the Sudanese Vice-President Ali Osman Taha, who was considered to hold considerable power in the GoS, and the supreme SPLM/A leader John Garang, for increasing personal engagement.20 The US assured Taha secretly that the conclusion of the peace agreement would improve US-Sudan relations, while it had more leverage on Garang in part due to the SPLM/A’s lower negotiation capacity. Whereas Garang sought to maintain close ties with Washington for support in the negotiations and post-conflict reconstruction, the US engagement was a sign that the US had given up the plan for regime change in Khartoum and rather recognised Sudan’s willingness to work for peace and against terrorism. There was hope among the NCP leadership that cooperation would improve the relationship with Washington, which was seen as a powerful ally of the armed opposition. Yet, the US continued to be the most powerful party pushing the IGAD process towards its conclusion. American diplomats worked behind the scenes with direct channels of communication to both parties. The US attention to Sudan was related in part to the deepening Darfur crisis, in spite of the Iraq war requiring its foreign policy focus. Concluding a peace treaty in Sudan before the 2004 presidential election was considered by some to provide a boost for the George W. Bush re-election campaign. The drive to conclude the process was useful for Bush in securing support of the conservative, Christian and race-focused special interest groups. Similarly, in the course of 2003-2004 the GoS had become increasingly concerned about the situation in Darfur22 and decided to favour the concluding of peace with the SPLM/A to avoid a two-front war or more complex peace negotiations in which it would potentially lose more. The finalising of the process was also in the interest of the SPLM/A, which sought to maintain the north-south image of the war that gave it leverage and recognition over other opposition groups in Sudan. Eventually, in 2004, the final agreements were signed. On 7 January 2004 the parties signed the protocol on wealth-sharing, followed by the 26 May power-sharing and three-areas protocols (Abyei, South Kordofan and Blue Nile), which were summarised in the Nairobi declarations in June. The US was also particularly active in proposing a solution to the Abyei problem, and pushed Abyei’s self-determination provision through although it meant having to settle for a later date for Abyei than the south. 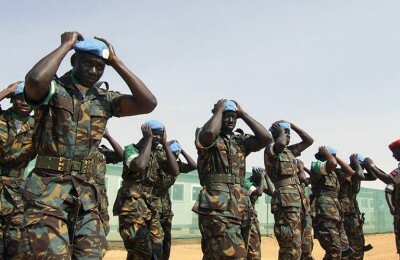 The breaking of the Abyei deadlock was followed by the final agreement on the security provisions in September 2004, the Implementation Protocol on 31 December, and the signing of the final CPA on 9 January 2005; a 260-page document that consisted of the earlier agreed protocols (CPA 2005). Finally, it was predominantly the US influence that shaped the IGAD initiative into a narrow two-way process, excluding other domestic actors for a more straightforward and potentially quicker resolution. Washington, along with US experts and think-thanks, played a prominent role in working towards the final agreement. The influence of these actors in the process ‘ … had the effect of side-lining the negotiating teams … [while] … The role of [IGAD] Special Envoy Sumbeiywo and the mediation team also declined’ (Young 2007:21, 22). However, once the CPA was concluded, the external pressure on the protagonists quickly evaporated, leaving the implementation of the treaty largely to the uneasy cooperation between the two former foes. The CPA’s contradictions became apparent during the six-year interim period following the final agreement. Principally a power-sharing treaty, relying on the contentious partnership between the former enemies, the NCP and the SPLM/A, the CPA enjoyed little external supervision and international guarantees. Although it was celebrated as a great achievement particularly among a selection of diplomats from the Western countries, the agreement was clearly a beginning of a process which sought to maintain the unity of Sudan when the unity was made ‘attractive’ enough to the southerners. The referendum for self-determination provided an exit option for southern Sudan, and together with external pressure, it was to serve as a mechanism to push the NCP to share power sufficiently to maintain southern Sudan as part of the country. 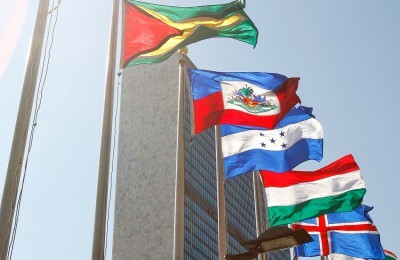 This was the more convenient option in terms of international politics in which recognition of new states remains generally rare and contentious. The political power sharing was executed by allocating the SPLM/A and other parties proportional representation in the national political institutions, the Government of National Unity and the National Assembly.23 In addition, the CPA stipulated the establishing of a southern regional government and a regional assembly in which the SPLM/A held majority.24 These proportional representations were effective until presidential and general elections would take place in 2009. The main provision of the wealth-sharing protocol of the CPA featured an agreement to share net oil revenues between the NCP-controlled national government and the newly formed SPLM/A-dominated Government of Southern Sudan (GoSS) on a 50-50 basis (CPA 2005:54). However, one of the main problems of the CPA was that it relied heavily on the NCP’s goodwill in sharing power at the national level. This was widely seen as the only way to prevent southern Sudan from seceding after the self-determination referendum projected for 2011. In addition, maintaining the unity of Sudan depended to an extent on the SPLM/A’s national reach. This in turn relied on the SPLM/A’s revolutionary power centre around the movement’s supreme leader John Garang, which advocated a ‘new Sudan’ under socially just democratic governance.25 Garang, who became southern Sudan regional president and national second vice-president after the CPA, was popular also in northern Sudan, and as a skilful statesman able to forge ties with sections of the northern political elite. In the early months after the signing of the CPA his appeal appeared to push southern Sudan closer to the rest of the country, reflecting an image that continued unity of the Sudanese state was possible. However, Garang’s death in a helicopter accident in July 2005 exposed the vulnerability of the CPA relying on the goodwill of a few key individuals. The first years after the CPA the pressure from the main external actors diminished. Occupied elsewhere, the US and its allies appear to have viewed the treaty as an end in itself instead of a roadmap for more sustainable peace. However, the key Western actors continued mainly to back the SPLM/A, a long term ally of the US, which in the context of its ‘war on terror’ appeared as the most adequate counterforce to the Islamist NCP government.27 However the decrease of the US focus on Sudan was crucial in facilitating the slowdown of CPA implementation, and hampering the chance of it becoming a transforming force to the prevailing political reality in Sudan. The CPA lagged behind schedule throughout, as the NCP’s intransigence and the SPLM/A’s concentration on southern Sudan, undermined the process (Ylönen 2013:24-27). In April 2010 the parliamentary and presidential elections in Sudan finally took place. By this time, the secessionist agenda in the SPLM/A’s leadership had become increasingly clear. In the elections, the NCP and the SPLM/A agreed not to contest each other’s dominant position in northern and southern Sudan, respectively. As a result, Kiir endorsed al-Bashir as the national president by withdrawing the main rival, the official SPLM/A candidate Yasir Arman, from the race, while the NCP withheld an endorsement for Kiir’s main rival Lam Akol for the regional presidency in southern Sudan (Ylönen 2013:25). The elections, which registered irregularities, intimidation and harassment, confirmed the dominant positions of each party in their respective parts of the country. While al-Bashir renewed national presidency with 68.24% of the total vote and the NCP gained 323 of 450 seats in the National Assembly, Kiir’s regional presidency in southern Sudan was confirmed with 92.99% of the total vote and the SPLM/A gained 160 of 170 seats in the regional Legislative Assembly (African Elections Database 2014a, 2014b). Throughout the CPA implementation, the NCP’s and the SPLM/A’s respective regional coercive power was the main guarantee of dominant position and exclusive political and economic power. While the NCP leadership’s control of political institutions and the security apparatus in northern Sudan continued to ensure its hegemony over the region, the SPLM/A’s coercive strength prevented the GoS from encroaching on the limited southern autonomy and allowed it to push for the completion of the CPA. Like the NCP had done since, and prior to, coming to power in 1989, the SPLM/A asserted its dominance over the southern political landscape by converting it into a de facto one-party system. Political liberties were limited on the pretext of maintaining security and preventing the NCP from meddling in southern affairs. By the time the self-determination referendum came, the SPLM/A was not prepared to allow a chance for the unity of Sudan to prevail. It tightened security and engaged in active campaigning for separation, harassing critics and intimidating members of the minority that were likely to vote for the continued unity of the Sudanese state.28 Unsurprisingly, under tight SPLM/A control the January 2011 referendum brought an overwhelming 98.83% result for separation with 97.59% turnout of registered voters (Southern Sudan Referendum Commission 2011). The CPA had no mechanism for addressing the authoritarianisation of politics revolving around the two protagonists in northern and southern Sudan, respectively. This was problematic because it generated armed resistance due to the lack of possibility to conduct effective politics within the state’s political institutions. Armed responses against the NCP continued in Darfur, and re-emerged in remote areas such as South Kordofan and southern Blue Nile. In southern Sudan, following the elections, local insurgencies strengthened and new factions emerged particularly from the ranks of disgruntled SPLA commanders who had not been able obtain political positions. While during 2010-2012 the GoS continued to be able to prevent rebel groups in northern Sudan from seriously challenging its position, southern Sudan’s security apparatus enjoyed some success in neutralising factional groups fighting the GoSS. In July 2011 South Sudan gained independence, but the relationship between Khartoum and Juba soon deteriorated. The contested resource-rich border areas continued to experience conflict. After Sudan confiscated South Sudan’s oil meant for export in early 2012, quoting unpaid transit fees of the oil piped through its territory, South Sudan suspended its oil production and entered a period of austerity measures. This move by Sudan prompted a crisis between the two countries which led to a military confrontation in the oil-rich Heglig along the disputed border between the two states in April (Ylönen 2012), and was only resolved later in the year, enabling South Sudanese oil exports to resume in 2013. Within this context of confrontation between the two states, both continued to experience armed opposition which in the case of South Sudan was potentially more destabilising largely due to the strength of the armed groups relative to the state. The current situation within and between the Sudans shows how the CPA was unable to end armed violence. One of its main flaws was that it was principally externally imposed, largely by Western actors who sought to advance their security interests in Sudan and the Horn of Africa. Although these interests were to an extent compatible with Sudan’s neighbours, the remedies taken and the resources involved to achieve the objectives were to a large extent provided by the interested Western states. This led to the exclusive agreement, which, as was hoped, could under the best circumstances provide a platform for future peace between the two signatories. However, it was precisely the exclusive nature of the CPA, which ignored other armed oppositions within Sudan, and the future South Sudan, which prevented it from producing increasingly peaceful conditions in the Sudans. The current ongoing conflicts in both states continue to provide opportunities for those not interested in peace, while they continue to hinder political opening and democratic development. Following the end of the Cold War, regionalism developed in the context of transformation of the international order. At the same time, the promotion of regional security, particularly to cater for the need to resolve armed conflicts in Africa, came to be seen as essential for cultivating peace, stability and development. 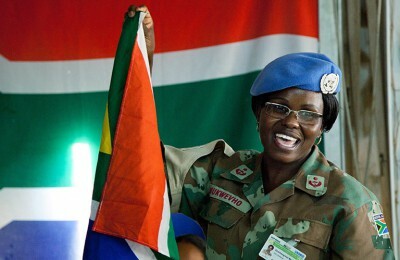 However, in the course of the late 1990s, the claimed ‘indigenous’ management of regional security, or the so-called ‘African solutions to African problems’, remained little more than a half-empty slogan under the global security paradigm dominated by powerful states pursuing their security agendas within regions. As this article has shown, IGAD’s security function emerged from the need for promoting regional security particularly in relation to war in Sudan. Yet, its weakness and dependence on the support of a number of Western states allowed IGAD to be used as a shell to promote external interests of powerful states, as in the case of the narrow and exclusive Sudan peace process. Arguably, this promoted dependency in the sub-region and prevented the emergence of fully-fledged regionalism capable of rebuffing external interference. A closer look at the dynamics at play in the Sudan peace process and its aftermath shatters IGAD’s positive international image promoted by the Western protagonists. As the article has pointed out, although IGAD provided the façade for the peace process in Sudan and its member states were truly concerned about the destabilising effect of Sudan’s war, it was stakeholders other than the IGAD members that were crucial in the making of the peace agreement. The international pressure on the protagonists, and especially the leverage that the US held over the GoS and the SPLM/A, was significant for concluding the treaty. The Western interest in isolating the southern insurgency from the national problem in Sudan coincided with the approach of the Sudanese government, and the pursuance of a piecemeal solution was largely due to their willingness to support the SPLM/A, the long-term ally of the US, over other opposition parties and seek a quick negotiated end to the large-scale violence in southern Sudan in the context of a closing window for an isolated peace agreement largely due to the deepening crisis in Darfur. Thus, excluding Darfur and other troubled areas, and avoiding a truly comprehensive solution, enabled the pushing through of a favourable treaty for the Western actors and the SPLM/A. Still, in spite of hopes for democratisation, exclusive power sharing through the CPA maintained an authoritarian political system in Sudan. Although it allowed the SPLM/A former rebel leadership equal status with the northern Sudanese political elite, this did not advance political opening in the country. Rather, the CPA generated a wrangle for political and economic power between the NCP and the SPLM/A elites without more general democratisation. This continues to be one of the main grievances among armed and non-armed opposition, both in northern and southern Sudan. The culmination of the CPA in southern independence in 2011 also did little to curb repression, instability and violent conflict, with both Sudans maintaining authoritarian political order backed by the coercive power of each ruling party and their respective security apparatuses. 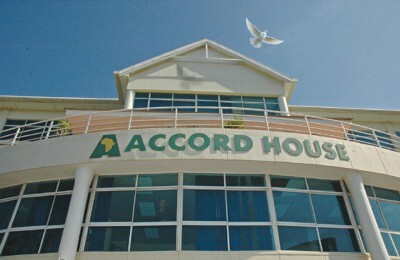 The flaws of the largely externally imposed CPA, and its violent aftermath, put into question IGAD’s independent capacity to forge peace in the Horn of Africa. Although it is true that Sumbeiywo’s mediation played an important role in Machakos, even he was aware that the agreement would not have been possible without the intense involvement of the international actors, and particularly the US-led Troika. In the end, the process was largely reduced to individuals, Taha and Garang, and the mediators Johnson and Sumbeiywo, who were acting in a context heavily influenced by the main external stakeholders and particularly the US. 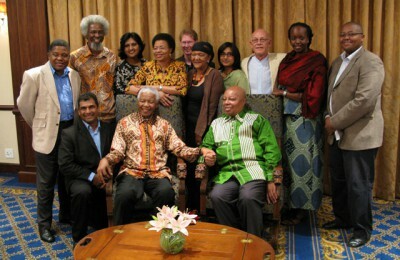 This focus on the leading figures continued to feature in the post-war CPA implementation and conditioned its outcome. Finally, the fact that IGAD, and especially Sumbeiywo, were given credit for the CPA, and the role of the Troika was highlighted much less, shows how the international actors were interested in portraying the process as a successful example of African regionalism. Thus, it can be argued that IGAD’s reorientation from an organisation designed to tackle food crises and development challenges to a sub-regional security promotion body, offering an ‘African solution for an African problem’, was largely due to the interests of the involved international actors. It can be perceived as a façade to veil their direct, and mainly self-interested, intervention in the greater Horn of Africa security affairs. The case of the CPA and its aftermath in the Sudans is a tragic example of this involvement. Aalen, Lovise 2013. Making unity unattractive: The conflicting aims of Sudan’s Comprehensive Peace Agreement. Civil Wars 15 (2), pp. 173-191. Abdelaty, Soha 2001. Testing the waters. Al-Ahram Weekly, 22-28 November. Available from: <http://weekly.ahram.org.eg/2001/561/eg3.htm> [Accessed 20 April 2014]. Adar, Korwa G. 2000. Conflict resolution in a turbulent region: The case of the inter-governmental authority on development (IGAD) in Sudan. 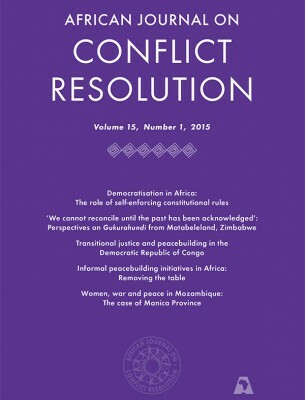 African Journal on Conflict Resolution 1 (2), pp. 39-66. African Elections Database 2014a. Elections in Sudan. 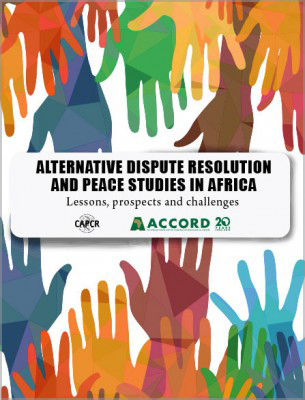 Available from: <http://africanelections.tripod.com/sd.html> [Accessed 23 April 2014]. African Elections Database 2014b. Elections in South Sudan. Available from: <http://africanelections.tripod.com/ssd.html> [Accessed 23 April 2014]. Astill, James 2001. Strike one. The Guardian, 2 October. Available from: <http://www.guardian.co.uk/world/2001/oct/02/afghanistan.terrorism3> [Accessed 29 November 2013]. Brecher, Michael 1963. International Relations and Asian Studies: The subordinate state system of Southern Asia. World Politics 15 (2), pp. 213-235. Buzan, Barry and Ole Wí¦ver 2003. Regions and powers: The structure of international security. Cambridge, Cambridge University Press. Cantori, Louis J. and Steven L. Spiegel 1970. The international politics of regions. Englewood Cliffs, NJ, Prentice-Hall. Cilliers, Jakkie and Julia Schünemann 2013. 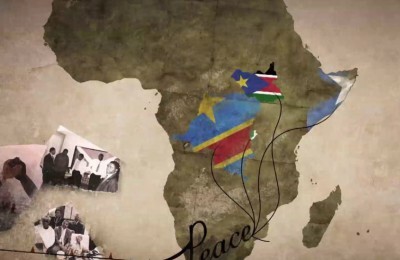 The future of intrastate conflict in Africa: More violence or greater peace? ISS paper 246, Institute for Security Studies, Pretoria, South Africa. Available from: <http://www.issafrica.org/uploads/Paper246.pdf> [Accessed 2 June 2014]. Clark, Ian 1997. Globalization and fragmentation: International Relations in the twentieth century. Oxford, Oxford University Press. Connell, Dan 2005. Eritrea/Ethiopia war looms. Foreign Policy in Focus, 2 October. Available from: <http://fpif.org/eritreaethiopia_war_looms/> [Accessed 12 September 2014]. CPA 2005. The Comprehensive Peace Agreement between the Government of the Republic of the Sudan and the Sudan People’s Liberation Movement/Sudan People’s Liberation Army. Nairobi, Kenya, 9 January. Curless, Gareth and Annemarie Peen Rodt 2013. Sudan and the not so comprehensive peace. Civil Wars 15 (2), pp. 101-117. Declaration of Principles 1994. IGAD peace initiative: Declaration of Principles. Nairobi, 20 July. Destradi, Sandra 2008. Empire, hegemony, and leadership: developing a research framework for the study of regional powers. Working Paper 79. German Institute of Global and Area Studies, Hamburg, Germany. Available from: <http://www.giga-hamburg.de/dl/download.php?d=/content/publikationen/pdf/wp79_destradi.pdf> [Accessed 20 May 2014]. Deyermond, Ruth 2009. Matrioshka hegemony? Multi-levelled hegemonic competition and security in post-Soviet Central Asia. Review of International Studies, 35 (1), pp. 151-173. Duffield, Mark 2001. 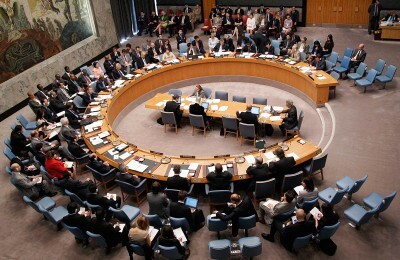 Global governance and the new wars: The merging of development and security. London, Zed Books. Duffield, Mark 2007. Development, security, and unending war: Governing the world of peoples. Cambridge, Polity. Fomunyoh, Chris 2005. African solutions to African problems: A slogan whose time has passed. allAfrica, 9 February. 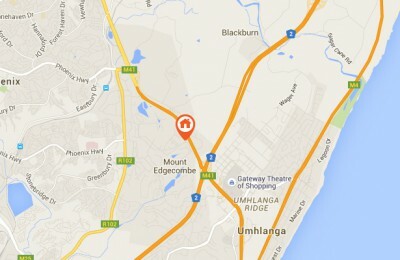 Available from: <http://allafrica.com/stories/200502090005.html> [Accessed 29 January 2014]. Gibia, Roba 2008. 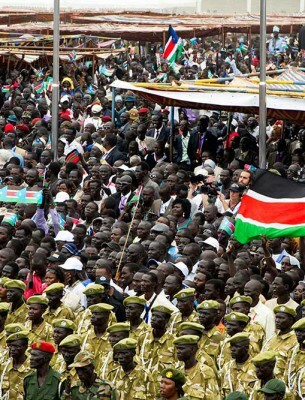 John Garang and the vision of New Sudan. Toronto, Key Publishing. Grant, J. Andrew and Fredrik Söderbaum eds. 2003. The New Regionalism in Africa. Aldershot, Ashgate. Grant, J. Andrew and Fredrik Söderbaum 2003. 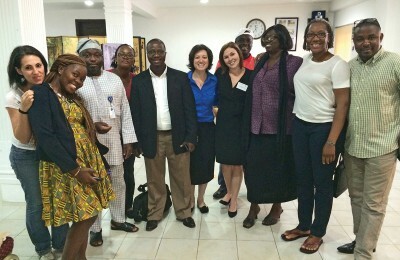 Introduction: The New Regionalism in Africa. In: Grant and Söderbaum eds. 2003, pp. 1-20. 8 October. Available from: <http://africanarguments.org/2009/10/08/the-rise-and-fall-of-the-sudan-alliance-forces-1/> [Accessed 21 August 2013]. Hoile, David 2002. The search for peace in the Sudan: A chronology of the Sudanese peace process. London, The European-Sudanese Public Affairs Council. HRW (Human Rights Watch) 2003. Sudan, oil, and Human Rights. HRW. Available from: <http://www.hrw.org/reports/2003/sudan1103/sudanprint.pdf> [Accessed 12 September 2014]. HRW (Human Rights Watch) 2008. Collective punishment: War crimes and crimes against humanity in the Ogaden area of Ethiopia’s Somali Region. HRW, 12 June. Available from: <http://www.hrw.org/reports/2008/ethiopia0608/index.htm> [Accessed 12 September 2014]. HRW (Human Rights Watch) 2013. ‘They are killing us’. Abuses against civilians in South Sudan’s Pibor County. HRW, September. Available from: <http://www.hrw.org/reports/2013/09/12/they-are-killing-us> [Accessed 12 September 2014]. Hussein, Mohamed el-Mukhtar 2006. Negotiating peace: The road to Naivasha. In: Simmons Mark and P. Dixon eds. Peace by piece: Addressing Sudan’s conflicts, Accord 18, pp. 18-19. 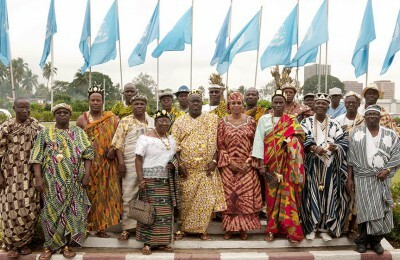 Inter-Governmental Authority on Development 2010. About us – IGAD Partners Forum (IPF). 9 January. Available from: <http://igad.int/index.php?option=com_content&view=article&id=93&Itemid=124&limitstart=5> [Accessed 27 September 2013]. Johnson, Hilde F. 2011. Waging peace in Sudan: The inside story of the negotiations that ended Africa’s longest civil war. Eastbourne, Sussex Academic Press. Karock, Ulrich 2014. 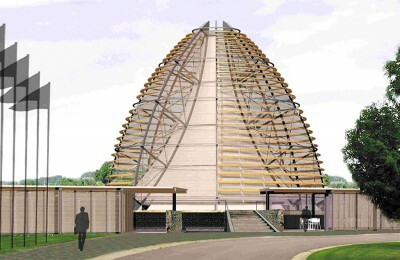 The African Peace and Security Architecture: Still under construction. European Parliament, Briefing DG EXPO/B/PolDep/Note/2014_47, 14 March. Katzenstein, Peter J. 2005. A world of regions: Asia and Europe in the American imperium. Ithaca, NY, Cornell University Press. Lemarchand, René 1988. The green and the black: Qadhafi’s policies in Africa. Bloomington, IN, Indiana University Press. Machakos Protocol 2002. Machakos Protocol. IGAD Secretariat on Peace in the Sudan, Inter-Governmental Authority on Development, Machakos 20 July. US security and foreign policy after 9/11. Basingstoke, UK, Palgrave MacMillan. Ortega Rodrigo, Rafael 2005. El islám polí­tico en Sudán. Granada, University of Granada Press. Prys, Miriam 2008. Developing contextually relevant concept of regional hegemony: The case of South Africa, Zimbabwe and ‘quiet diplomacy’. Working Paper 77. German Institute of Global and Area Studies, Hamburg, Germany. Available from: <http://www.giga-hamburg.de/en/system/files/publications/wp77_prys.pdf> [Accessed 23 May 2014]. Rolandsen, Østein 2005. Guerrilla government: Political changes in southern Sudan during the 1990s. Uppsala, Nordic Africa Institute. Rosecrance, Richard 1992. A new concert of powers. Foreign Affairs, 71 (2), pp. 64-82. Shaw, Timothy M., Frederik Söderbaum, Julius E. Nyang’oro and J. Andrew Grant 2003. The future of New Regionalism in Africa: Regional governance, human security/development and beyond. In: Grant, J. Andrew and Fredrik Söderbaum eds. The New Regionalism in Africa. Aldershot, Ashgate, pp. 192-206. 8 August. Available from: <http://www.arabnews.com/influence-interest-groups-american-policy-making> [Accessed 12 September 2013]. Southern Sudan Referendum Commission 2011. Southern Sudan Referendum Final Results Report. Khartoum, 7 February. The White House 2001. President appoints Danforth as Special Envoy to the Sudan. Office of the Press Secretary, 6 September. Available from: <http://georgebush-whitehouse.archives.gov/news/releases/2001/09/20010906-3.html> [Accessed 10 October 2013]. Väyrynen, Raimo 1984. Regional conflict formations: An intractable problem of International Relations. Journal of Peace Research, 21 (4), pp. 337-359. Wallensteen, Peter and Margareta Sollenberg 1998. Armed conflict and regional conflict complexes, 1989-97. Journal of Peace Research, 35 (5), pp. 621-634. Woodward, Peter 2006. US foreign policy and the Horn of Africa. Aldershot, Ashgate. Ylönen, Aleksi 2009a. Marginalisation and violence: Considering origins of insurgency and peace implementation in the Nuba Mountains of Sudan. Paper 201, Institute for Security Studies, Pretoria, South Africa. Available from: <http://www.issafrica.org/uploads/P201.pdf> [Accessed 2 February 2014]. Ylönen, Aleksi 2009b. On sources of political violence in Africa: The case of ‘Marginalizing State’ in Sudan. Polí­tica y Cultura, 32 (Fall), pp. 37-59. Ylönen, Aleksi 2012. The Sudan – South Sudan military escalation in Heglig: Shifting attention from domestic challenges. 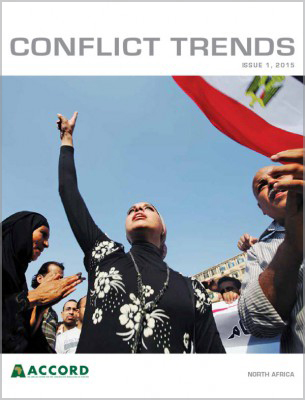 Conflict Trends, 4, pp. 11-19. Ylönen, Aleksi 2013. Building a state without the nation? ‘Peace-through-statebuilding’ in Southern Sudan, 2005-2011. UNISCI Discussion Papers 33 (October), pp. 13-34. Ylönen, Aleksi 2014. Dwindling but surviving: South Sudan and external involvement in the current crisis. Review of African Political Economy, 41 (141), pp. 1-8. Young, John 2005. John Garang’s legacy to the peace process, the SPLM/A & the South. Review of African Political Economy, 32 (106), pp. 535-548. Young, John 2007. Sudan IGAD peace process: an evaluation. Sudan Tribune, 30 May. 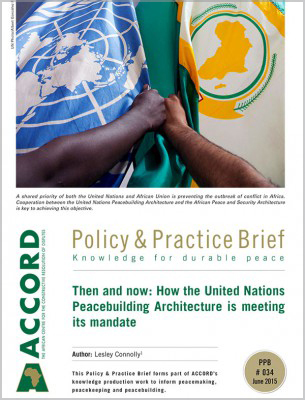 Available from: <http://www.sudantribune.com/IMG/pdf/Igad_in_Sudan_Peace_Process.pdf> [Accessed 10 June 2012]. Zartman, I. William 1967. Africa as a subordinate state system in International Relations. International Organization, 21 (03), pp. 545-564. See, for instance, Binder 1958, Brecher 1963, Zartman 1967, Cantori and Spiegel 1970 and Katzenstein 2005. Among these are Destradi 2008 and Deyermond 2009. See Lemarchand (1988) for Libya and Prys (2008) for South Africa. Miller and Stefanova (2007) have pointed out the repercussions of the United States’ War on Terror in different world regions. The Economic Community of West African States (ECOWAS) has engaged in joint sub-regional security promotion since the 1980s. 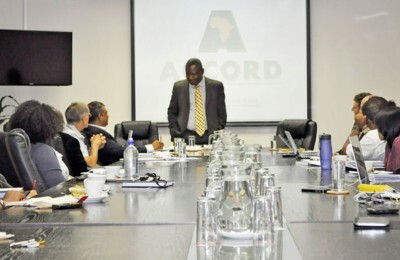 Other sub-regional components of the overall architecture include the East Africa Peace and Security Mechanism (EAPSM), the Southern Africa Development Community (SADC), the Economic Community of Central African States (ECCAS) and the North African Regional Capability (NARC). Some reported examples of this are Sudan’s (HRW 2003), South Sudan’s (HRW 2013) and Ethiopia’s (HRW 2008) policies in parts of their respective state peripheries. Eritrea suspended its IGAD membership in 2007, and South Sudan joined the organisation after its independence in 2011. While SPLM/A-United was mainly supported by Khartoum in its activities against the SPLM/A-Mainstream, the latter sought to increase its regional external support by signing the DoP, also because it found the propositions desirable with respect to its weak military position. See, for instance, Ortega Rodrigo 2005. In the context of the civil war, this led to an orchestrated attempt to eradicate cultures of minority ethnic groups by imposing Islam and Arab culture, such as in the case of the Nuba in South Kordofan (Ylönen 2009a). Since 1991, Uganda had replaced Ethiopia as its main supporter, which was facilitated by the close SPLM/A-Kampala leadership ties but also the latter’s interest to weaken Khartoum that supported the LRA. See, for instance, Deng et al. 1996:161-162. Active Eritrean, Ethiopian and Ugandan support for the SAF opposition resulted in rebel occupation of a number of towns and heightened military pressure on Khartoum. 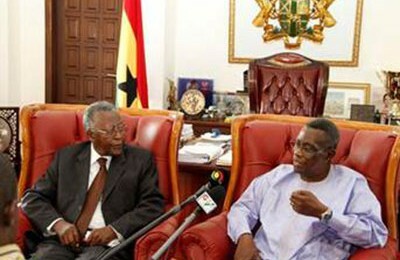 The SAF were also in contact with academic turned politician, Taisier Ali, and the US National Security Adviser on Africa, John Prendergast, regarding direct ‘potential support of the US to armed interventions by Northern Sudanese factions that could lead to the destabilisation of the government in Khartoum’ (Hassan 2009). Based on communication with a former US Ambassador. The attacks were later attributed to Osama bin Laden and al-Qaeda. In addition to the rebels in southern Sudan the GoS faced opposition in northern Sudan and had been fighting various smaller armed factions there, both grouped together under the loose umbrella organisation, the National Democratic Alliance (NDA). In the course of 1994-5 the SPLM/A became one of the founding members of NDA, and became the leading armed force within the organisation. According to Adar (2003:48), the US government agencies and associated organisations, such as USAID Horn of Africa Support Project (HASP), Office of US Foreign Disaster Assistance (FDA), Sudan Transition Assistance for Rehabilitation (STAR), and Office of Food for Peace (FFP), and the State Department’s Bureau of Population, Refugees and Migration (PRM), and others, were active in pushing the IGAD peace initiative. This was characterised by the attempt to engage both protagonists by the interested parties, including the US, other IPF states, and relief, non-governmental and civil society organisations. See, for instance, Ylönen (2009b) for the exclusive economic and political power and instability and armed conflict in Africa. Perceiving the Nile as its lifeline, Egypt feared that the secession of southern Sudan would lead to the establishment of yet another riparian state interested in using the Nile water for its own development and decrease Egypt’s share. Libya, in turn, was largely interested in expanding its own and ‘Arab’ influence in the Sahelian states and beyond. Based on communication with a former US Ambassador. He also disclosed that this was a rather unprecedented occasion in US foreign policy in which the executive was forced to comply with pressure from special interest groups backed by a handful of particularly active congressmen. This relationship had not played a significant role in the negotiations leading to the signing of the Machakos Protocol in 2002 because the head of each delegation had been changed several times (Hussein 2006:19). In her account, Waging Peace in Sudan, Johnson (2011) describes her view on the mediation process leading to the finalisation of the peace agreement. From 2003 onwards the main Darfur rebel groups called for an end to Darfur’s political and economic marginalisation similarly to what the SPLM/A had demanded in the case of southern Sudan. Their inclusion in the peace process would have undermined the chance of reaching a quick settlement. The Western actors and the NCP preferred an exclusive two-party process between the two protagonists. The CPA ensured the NCP a majority position in the national executive and legislative with 52% representation and allowed the SPLM to enter in these institutions with 28% minority representation ahead of other northern parties and southern political forces with 14% and 6%, respectively (CPA 2005:24). In Southern Sudanese political institutions, the power relations were reversed with the SPLM holding 70% majority representation, followed by the NCP and other southern parties with 15%. In the northern and southern states each party was to have 70% representation (CPA 2005:32). See more on Garang’s ‘new Sudan’ ideology in Gibia (2008). The SPLM demanded laws and procedures to be passed to diminish the NCP’s ability to manipulate the elections. The SPLM/A’s role as a major armed opposition party had been elevated to match that of the NCP in order to reach the exclusive peace agreement. This came at the expense of looking for a truly comprehensive solution that would have included other opposition forces, including those from Darfur, South Kordofan and the Blue Nile, in the negotiation process. Based on the author’s fieldwork conducted in southern Sudan in 2010-2011. See Ylönen (2014) for the events leading to the current crisis in South Sudan.